It is well known that prescription opiate painkillers can be habit-forming. Prolonged use of generic and hydrocodone brand names exposes users to the risks of abuse and addiction. In addition, the concomitant use of this drug with other medications can result in serious adverse reactions including coma and death. For example, mixing hydrocodone and oxycodone can prove fatal because both are powerful narcotic painkillers that can cause breathing difficulties and worsen heart, liver, and kidney disease. Taking hydrocodone exactly as prescribed by a doctor is essential. Let’s find out more about what happens when you mix hydrocodone with other medicines. What Drugs Should Not Be Combined with Hydrocodone? Is Interaction Between Hydrocodone and Alcohol Dangerous? Can You Take Hydrocodone and Weed Together? Can Opioids be Taken Together With NSAIDs? Is It Safe To Take Hydrocodone with Benzodiazepines? What Are the Dangers of Ambien and Hydrocodone Combination? Tramadol and Hydrocodone: Is It Safe? What Are the Hydrocodone and Gabapentin Interactions? Is Interaction Between Hydrocodone and Amphetamines Possible? 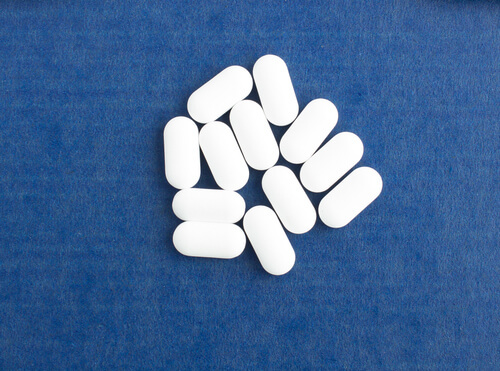 What are the Effects of Combining Hydrocodone and Acetaminophen? What are the Dangers of Hydrocodone and Benadryl Combination? Is Flexeril and Hydrocodone Interaction Safe? What are the Effects of Hydrocodone Interaction with Kratom and Grapefruit? What Medications Should Not Be Taken with Hydrocodone? Hydrocodone interaction with certain medications can result in serious health risks. For instance, an enzyme called cytochrome P450 3A4 (CYP3A4) is responsible for metabolizing more than half of all known medications. Any substance that inhibits the activity of CYP3A4 can cause an increased blood concentration of opioid painkillers. This interaction can lead to life-threatening adverse reactions and potentially fatal respiratory depression. Potent inhibitors of CYP3A4 activity include antibiotics (erythromycin, clarithromycin), antifungals (ketoconazole, itraconazole), and natural substances like grapefruit, so a combination of these drugs should not be taken with hydrocodone. In addition to the risk of overdosing on hydrocodone, interaction with central nervous system depressants, such as benzodiazepines and alcohol, can result in profound sedation, respiratory depression, coma, and death. Opiate painkillers are especially dangerous in combination with alcohol because they suppress inhibitions associated with drinking, leading to an increased risk of overdose and death. When it comes to hydrocodone and marijuana, each is dangerous on its own, but when used together, the risk is even greater. Weed is not as harmless as some people believe; it impacts cardiac and respiratory health. Marijuana makes the heart work harder and causes inflammation in the lungs. Taken together, hydrocodone and weed combination can be very dangerous because the former increases the chances of irregular heartbeat and heart attacks. Mixing the two results in an interaction that puts a strain on the heart and makes the lungs work harder. NSAIDs and Opiates: Is It Safe to Mix Hydrocodone with Ibuprofen? Narcotic analgesics act on the central nervous system to relieve pain. Prolonged use of these drugs can be habit-forming and physical dependence can lead to hydrocodone withdrawal symptoms when the medication is stopped. Ibuprofen formulations such as Motrin and Advil are nonsteroidal anti-inflammatory drugs (NSAIDs), which are also pain relievers. A combination of hydrocodone and ibuprofen is available under brand names such as Vicoprofen and Ibudone. These medications are prescribed to relieve acute pain. This combination should only be used only with a doctor’s prescription for short periods of time (less than 10 days). It’s important to tell your physician if you have ever had an allergic reaction to hydrocodone. Naproxen (brand name Aleve) is another NSAID that is known to increase the risk of heart attack and stroke. Naproxen and hydrocodone combination can be dangerous because the latter is also known to affect cardiac function. Hydrocodone and Aleve combination can worsen heart health, especially in people who have high blood pressure or heart failure. Hydrocodone and Benzodiazepines: Can One Take Them Together? Hydrocodone and Xanax combination is not safe. Benzodiazepines, including Valium and Xanax, are tranquilizers that act on the central nervous system. They are used to treat anxiety and insomnia. Mixing prescription opioid pain pills such as hydrocodone with sedatives such as Xanax can lead to a fatal overdose. Xanax and hydrocodone interaction can result in life-threatening respiratory depression. 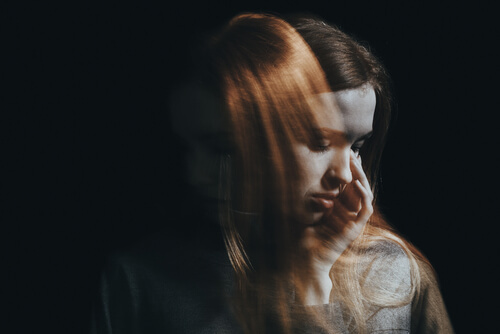 Symptoms of Valium and hydrocodone drug interaction include extreme sleepiness, lightheadedness, slowed breathing, unresponsiveness, coma, and even death. Is There Interaction Between Tramadol and Hydrocodone? Both hydrocodone and tramadol are opioid analgesics that change the perception of pain by attaching to receptors in the brain. They are used to treat moderate to severe pain related to chronic conditions such as cancer or pain following injury and surgery. Hydrocodone price is comparable to tramadol. However, tramadol (brand name Ultram) is a non-narcotic pain reliever. Mixing it with narcotic pain relievers such as Vicodin and Lorcet (which are a combination of hydrocodone and acetaminophen) can lead to seizures, respiratory distress, coma, and death. Gabapentin (brand name Neurontin) is a prescription medication that is used to treat nerve pain and seizure disorders. Neurontin doesn’t have the same addiction potential as narcotic analgesics, but some addicts take this combination of drugs to amplify the euphoric effect without realizing there is an interaction between the two drugs. Mixing gabapentin and hydrocodone can be lethal. 2017 study published on NCBI has shown that this killer combination greatly increases the risk of overdose and opioid-related death. Prescription opiates include strong painkillers such as Vicodin and Lortab which contain hydrocodone and acetaminophen. These medications are central nervous system depressants which slow down key organs in the body such as the heart and lungs. Amphetamines, such as Adderall, are stimulants that have the opposite effect. Combination of Adderall and hydrocodone can prove to be an extremely dangerous interaction. These are opposite types of drugs that can mask overdose symptoms. For example, if an addict is injecting hydrocodone and abusing Adderall at the same time, the stimulant drug may hide signs of opiate overdose such as extreme drowsiness, resulting in overdose and death. Hydrocodone and Tylenol is a combination that is available under brand names such as Lorcet, Norco, Hycet, and Vicodin. These medications are used to treat moderate to severe pain. Tylenol (acetaminophen) is a less potent pain reliever that increases the effect of opioid painkillers. This combination can slow or stop breathing and has the potential for abuse and addiction. Misuse of these drugs without a prescription puts a person at risk of overdose and death. Medications such as Percocet and Vicodin already contain acetaminophen and combining them with more acetaminophen (Tylenol) can cause liver damage with signs and symptoms including yellowing of the skin, dark urine, stomach pain, loss of appetite, and skin blistering. Benadryl (generic name diphenhydramine) is an allergy medication that is sometimes prescribed in combination with hydrocodone. Certain medications, such as Tussinate, are a combination of diphenhydramine (antihistamine), phenylephrine (decongestant), and hydrocodone. This combination is used to reduce congestion, suppress a cough, and relieve pain. Both drugs can induce dizziness and drowsiness, so extreme caution is advisable, especially when driving or performing hazardous activities. 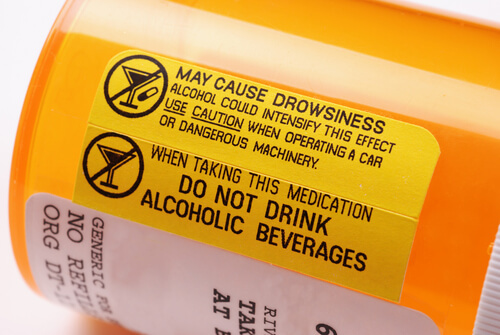 Alcohol should be avoided when taking this medication because the interaction can be fatal. Flexeril (generic name cyclobenzaprine) is a muscle relaxant that works by blocking pain signals to the brain. This medication is not recommended for people who have heart rhythm disorders, heart failure, or heart attacks in the recent past. Taking cyclobenzaprine and hydrocodone combination increases the risk of serious, life-threatening breathing problems. Symptoms of this drug interaction may include extreme sleepiness, dizziness, lightheadedness, confusion, slurred speech, profound weakness, and difficulty breathing. Kratom is a plant-based substance that is being touted as a safe and natural treatment for anxiety, depression, and pain. However, the FDA has issued a public health advisory about kratom which has effects similar to opioids and a similar risk of addiction. Some addicts take kratom and hydrocodone combination to enhance euphoric effects, without being aware of the interaction and the risk of serious adverse effects such as seizures and liver damage. Using kratom to treat opioid withdrawal symptoms is a dangerous practice. Dozens of deaths have been reported from the use of kratom-containing products. 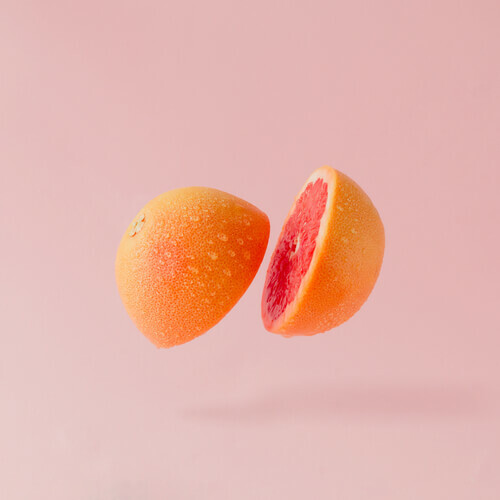 Taking grapefruit juice and hydrocodone combination can increase or prolong the adverse effects of the medication and can lead to an interaction with a potentially fatal slowing of breathing. Grapefruit juice increases the plasma concentration of hydrocodone by inhibiting the CYP450-3A4 enzyme. Stopping hydrocodone is a difficult task, but it’s not impossible. Inpatient and outpatient drug rehab facilities offer effective programs for people with an addiction to opioid pain pills. The first step in rehabilitation is usually medical-assisted detoxification, followed by counseling and long-term relapse prevention strategies. If you or someone you love is addicted to prescription pain pills, call our free helpline (888)-459-5511 for more information on treatment options. Advisors are available to answer your questions on hydrocodone drug interactions, give you more information on opioid addiction, and guide you towards long-term recovery from pain pill dependence. Calls are always confidential and secure.